Liam Jose is the owner of Grub Street Bookshop in Fitzroy, Melbourne. He worked for the previous proprietor before taking ownership two years ago. The shop itself has been around for 40 years, becoming a local institution famous for selling an eclectic mix of often quite obscure second-hand books. Liam tells us about revamping the store for a more diverse demographic and how he's given book lovers a reason to visit in the age of Amazon. BusinessesForSale.com: What type of bookshop is Grub Street? Liam Jose: It's a general second-hand bookshop, so we sell a bit of everything. Fiction is our bread and butter, but what we're known for is good, if obscure, philosophy and theory books. BFS: Who are your primary customers? LJ: It's changed a lot in the last seven years or so. It used to be older intellectuals, but they eventually grew out of coming into the bookshop. We also had a lot of uni kids, but they didn't have much money to spend. Now we've arrived at an in-between patch. We don't have a consistent set of people, but we do get a lot of young, intellectual types. Our customers are mostly local, but as the shop's been around for 40 years, people know about us and will drop by even if they're just passing through Melbourne. 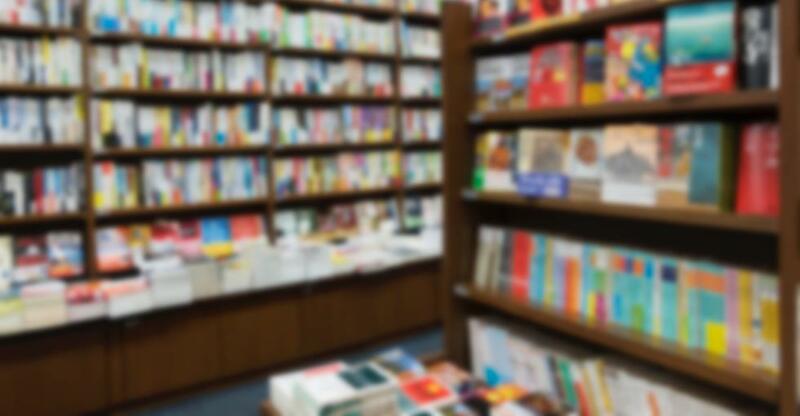 BFS: Did you have retail experience when you decided to buy a bookstore? LJ: I did. I worked at a comic bookshop all through high school, and spent time doing medical admin before coming back to retail. You do need retail experience, but you also need a deep knowledge of books beyond just being a reader and knowing what people like. You have to have a broad understanding of every kind of book genre. For example, gardening; I'm no expert, but I know enough about gardening books to know the type of thing people are looking for. BFS: Why did you buy the bookshop? LJ: I think it's lovely to have these artefacts. I'm not against people reading on tablets - I think reading in any format is a good thing. The great thing about a second-hand bookshop is finding books that aren't going to be online because they're so niche, small and unusual. To uncover that stuff as you're shuffling through the piles is beautiful. BFS: Have online retailers like Amazon and the rise of the ebook affected your business? LJ: It probably has, but I think it's more obvious for a bookshop selling new releases. Retail in general is down because of online, so that's affected us. The bigger trend is devaluing: people are constantly trying to pay the minimum price for everything. It's a mindset that's crept in over the last few years which has made things difficult for retailers. BFS: What value-adds have you introduced to your shop? LJ: We've focused on curation. When we took it over, it was more like a traditional second-hand bookshop: piles of books you would have to rummage through to find what you wanted. Now we've pared back the stock, so it's more curated and overall a better standard. We've also opened up the space with more communal seating areas and started holding more events. We try and have a gig and an author talk here about once a month, and we'll have the occasional book launch for more obscure books. BFS: If you were going to buy an established business now, what would you look for? LJ: One of the obvious things is to find out the premises' rental price. A big problem with retail is that if you're in an expensive area, the rents keep climbing and businesses struggle to keep up. Preferably, you want somewhere that people already know and really care about, and you need to know about the kind of people going through there. You don't want to be reliant primarily on an audience that perhaps won't be there in another three or four years. BFS: What attributes do you need to run a bookstore successfully? LJ: Resilience - it's a financially tough business. If this is really what you want, you need to be clear-headed about your prospects, and understand that you're not going to make pots of money. You have to have a real passion for it too, because when things get tough, you need to love what you're doing.